In answering these questions, Janet Sayers highlights the revolution wrought in both sexes' psychology by adolescence, particularly by its fantasies of divided selves and loves and of 'boy crazy' grandiosity and romance. Illustrated throughout with fascinating examples from a groundbreaking study of adolescent memories and dreams, Boy Crazy presents an engaging account of this little-researched period of human development. Sayers also draws on her own work as a therapist, and weaves in vignettes from fiction and film, to demonstrate the significance we attach in adulthood to our experiences as adolescents. She suggests that men and women respond differently to the sexual awakening that takes place during their teens, and to their own memories of that part of their life. In relating the findings of her research the author also explores to what extent the theories of Freud, Jung and feminism shape our understanding of the formative effect of adolescent experiences and emotions. 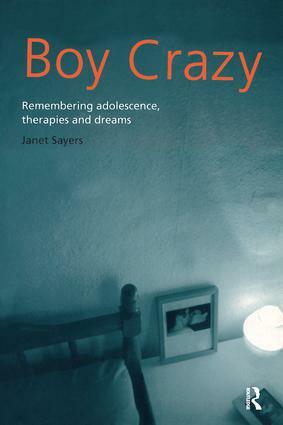 Boy Crazy provides a fascinating insight into the repercussions of adolescence on our adult lives and loves and will appeal to the general and specialist reader alike.